It’s easy to see why Fatima Elatik dislikes burkas. The Islamist cloak of female chastity is in stark contrast to everything this young and charismatic Dutch-Muslim politician represents. She nonetheless adamantly opposes the new initiative to ban the garment, which the Dutch cabinet announced Friday. “I’m no fan of the burka, but currently there are about 100 women who wear it in this country. Banning it might make it more popular,” says Elatik, an Amsterdam-born practicing Muslim of Moroccan descent. 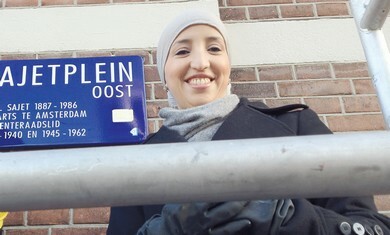 Three years ago Elatik, 39, became district mayor of East Amsterdam, and one of the best-known faces of the Dutch Labor Party.